Stuff Parents Need — Easing the chaos in the nest, one find at a time. I was told that I would blink and my babies would be babies no more. But in the midst of the chaos of raising little ones, I found that the days were SO VERY LONG, so it seemed like a rather untrue statement. I was also told, “Cherish every moment!” as I was covered in spit up, dealing with a diaper blowout, while my toddler threw a tantrum all at the same time. I remember thinking that it was such terrible advice (and to a degree, I still think it is, but that’s a topic for another post). And yet, I’ve been so quiet on the blog for these past few months, and one of the reasons why is because time has been slipping out of my hands at lightning speed, and my babies are, in fact, babies no more. They are now 6 and 9, in what I believe to be “the golden years” of their childhoods. Being present with them in the day-to-day of it all is less about keeping them alive and fed (though the requests for snacks are still nonstop!) and more about nurturing their curiosities and discovering just how magical this world is together. I can’t say that I’m cherishing every moment, but I’m now able to cherish more than I could before. Sisters, you will get to this place one day, I promise. And while there will be different types of parenting challenges that await you as they grow, at least for a little while, it really does get easier. Yesterday I was shopping at Food Lion for some practical gifts to bring to my little sister when I travel to visit her this weekend. She is a second time mom of an 8-month-old little girl, and I wanted to gift her with some baby products to use now, and to stash away for a little ways down the road. 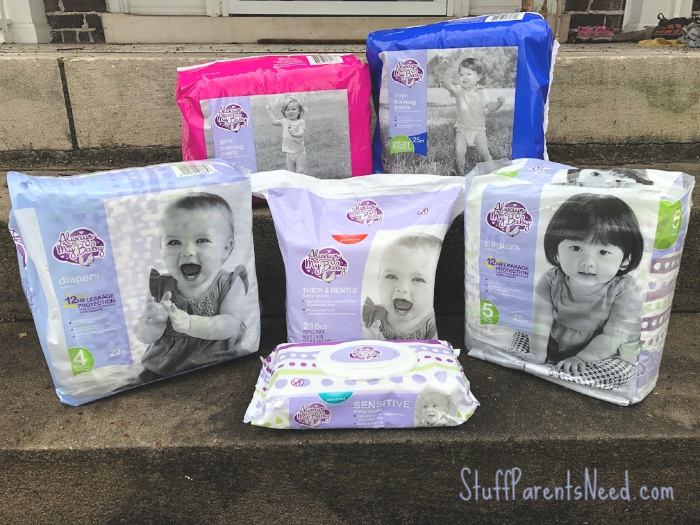 It has been quite a few years since I’ve been browsing for diapers and wipes, and the process made me think of a few of the things I’ve learned since I was purchasing these items. Perhaps if I share them with you they will help you learn the lessons a little bit faster than I did. I am all for doing your research on the products you think will benefit your child the best. But don’t assume that because something has a higher price tag or is from a brand that runs national commercials that the product, itself, is surely superior. I’m bringing my sister products from the Always My Baby line, a private brand label found exclusively at Food Lion. For More Information about Food Lion’s Private Brand labels click here. This line of products is very high quality, and is offered at a wallet-friendly price point, which means you don’t have to sacrifice dollars to get something that will work well for you and your baby. 2. You Really Do Need to Sleep! Sleep deprivation is one of the absolute toughest things about having a baby, friends. I was reminded of this painful truth recently when my youngest started having nightmares and waking us up a few times in the middle of the night. It was downright debilitating after a few nights of this (the issue is resolved…also a topic for another post!). Do anything you can to help your little one have the best odds of getting a full night’s rest, including looking for great overnight diapers. 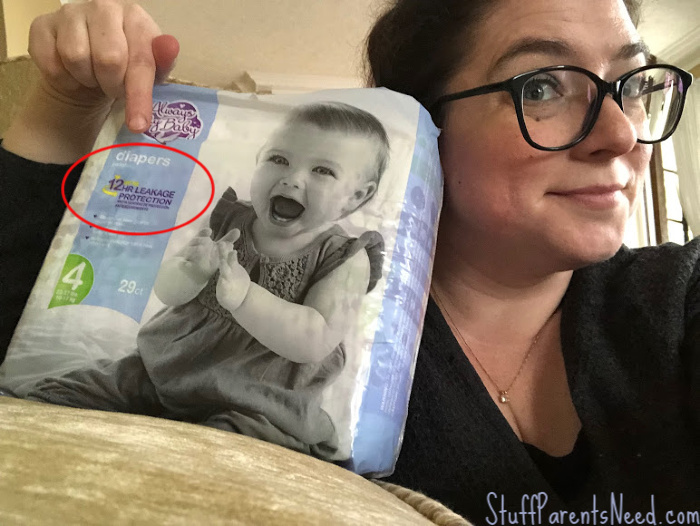 Always My Baby has up to 12 hours of leakage protection which is just what you want your child to be in when it’s time for bed. Don’t let a wet diaper be the reason for sleep disruption! Before you know it, your little one is going to be wanting to do anything and everything by him/herself. At least a few times a day, take the extra time to let them try. I know that is easier said than done, especially when you know it’s going to take so much longer and possibly result in a mess, but by giving your child the autonomy to do something on their own, you are giving your future self a gift, I assure you. My kids really and truly don’t need my help anymore when they go to the bathroom (your day is coming, I promise!!!). 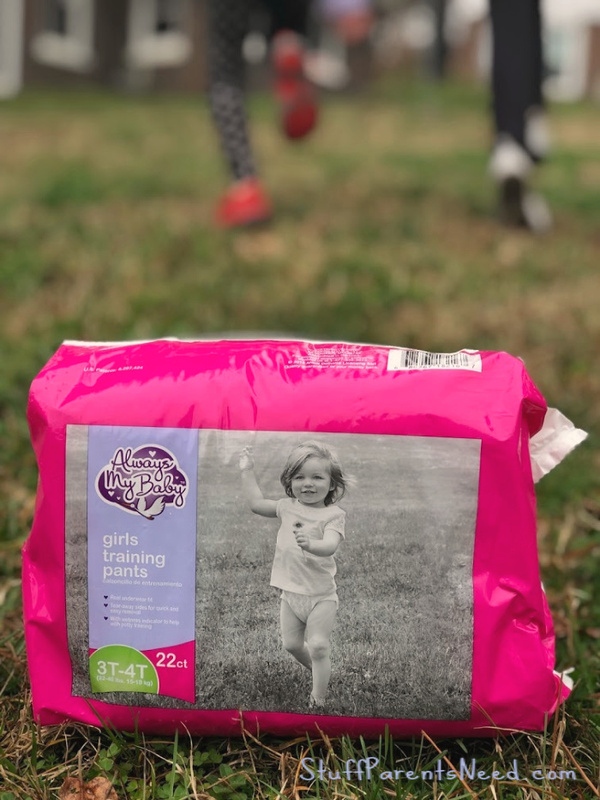 If they are showing signs of readiness, get them in some great training pants, like the Always My Baby line, and let them practice being a big girl or boy. Before you know it, they will get the hang of it and one huge parenting hurdle will be crossed! Just as they say that the years are short (which I can confirm on this side of things), it’s just as true that the days for you are long. And that’s perfectly ok. It really will pass, and it really will get easier. And in the mean time, you can save yourself time and save your family money by getting great quality baby products, always priced lower than national brands, at your nearest Food Lion. Always My Baby is the line to look for, formally called Home 360 Baby. Should anything not work for you, Food Lion offers a double your money back guarantee (click here to learn more). Good luck, out there, moms of littles. Even on the toughest days, you are doing great! I’m cheering you on from a few years down the road! Thanks to GlassesUSA.com for partnering with me for today’s post. As always, I share my honest opinions! Hello friends! It’s been a minute since we last hung out on the blog, hasn’t it? Things are trekking along over here with homeschooling, and the more we do it, the more I really love it. But it certainly comes at a price, and that price is time that I have to work on other interests, like the blog. So I’m so glad to be able to steal away for a bit this morning to chat! And I’m excited to be sharing something with you that I hope will be really useful information. I recently did something that has given me a confidence boost, and quite frankly just helped me get out of a rut I’ve been in for quite some time. Finally, though, I started really paying attention to what I would call oversized frames and just how lovely they actually looked on folks. This observation coincided with my growing dislike for my own frames, largely because they kept sliding off my face and getting them corrected at the shop never stuck…they were back to sliding off of me within days, if not hours. So I decided it was time to try something totally different, but when was I going to find the time to go pick out glasses? The mere thought of it was exhausting and kept me from ever actually going to take care of this need. And that’s where GlassesUSA.com came into play. You’ve likely heard of this online eyewear store, right? If not, let me introduce you! GlassesUSA.com is focused on offering high-quality frames and lenses and a risk-free shopping experience for customers that is easy and economical. Basically, you take care of getting a prescription from an optometrist, and GlassesUSA.com will help you get the lenses you need and want for a price that won’t make you cry. And you get to pick them out from your home, using your computer, tablet or phone. Beautiful! But what about the importance of trying on frames before you buy? It’s easy to upload a photo on the site so that you can virtually try on as much as you’d like. I did this and it gave me peace of mind about the style I selected. And I will also say this: I picked out the general size I was looking for, and then searched for the most popular frames in that size. I looked at a few different options, and most importantly, read the reviews (many of which included pictures of the customers wearing their frames). That helped me so much, and I ultimately decided to just go with it and not stress out about the choice! It honestly took me about 5 minutes to pick out these glasses. I’m sure if I’d labored over the decision for several hours I could have picked out a pair that looked even better, but I’m absolutely thrilled with what a big change I was able to make, and how hassle-free it was to make it. The great reviews from other customers and the Virtual Mirror on the website made it easy for me to make a choice. I also didn’t sweat it because GlassesUSA.com offers a 100% money back guarantee ( full refund within 14 days of purchase, no questions asked) as well as a 1 year product warranty. I had a great experience with GlassesUSA.com and based on it, would definitely recommend it to others. What a great way to get out of a style rut! Have you been sporting the same style of glasses for a decade, like me? Hop over over to GlassesUSA.com and see if you can find something new. I bet you can! They always have a great offer for your first pair at sign up! For the past month, my daughters and I have been running a little business on the site Poshmark (an app and site where you can sell gently used or even NWT clothing items) as part of our homeschooling curriculum. It’s a great platform for teaching kids some basic business skills, but that’s a topic for a different post. Today I’d like to share the top 5 things we have learned during our first month selling on Poshmark so that what we learned can help others who are new to the app or who would like to be more consistent with making sales. Before we dig in, if you aren’t already signed up for Poshmark (totally free to join, and you can join if you want to sell or even if you’d just like to shop!) we’d love for you to use @squeakersisters as your referral at sign up. You’ll get $5 added to your account for your first purchase (that $5 shows up when you are getting ready to check out for the first time) and we’ll get the same bonus when you make a purchase. Win/win! And be sure to follow us if you are already joined so we can follow you back. Ok, on to the lessons learned! Poshmark is a social app, and not just an online shopping mall. It does require consistent time and effort, and Poshmark wants their users to be active. The more you share your own closet, AND the more you share items in other people’s closets, the more your own items are going to rise to the top of the pile and be seen more. If you’d like to make regular sales, be prepared to at least try to spend a little bit of time on the app every single day. That means listing a few items, sharing other people’s stuff, and sharing your own. At a minimum, expect to spend about half an hour a day. The good news is that you can fit a lot of this into little nooks and crannies of your day, here and there. If you are reselling as a way to make some extra income, it’s really important to set a goal for how much profit you’d like to make, on average, for each item you list. Keep in mind that Poshmark takes a painful 20% of the sale price for themselves, and you’ll also have to pay yourself back for the cost of the item if you sourced it at a thrift or consignment store. My girls have a target of at least $10 profit per item. This helps us determine what is and is not worth purchasing in the first place, and it helps us when determining our starting listing price for an item. If you don’t know how much money you need to make, you will purchase too many items that have a low resale value, and find yourself spending an awful lot of time sourcing, photographing, sharing and taking trips to the post office for $3-$6 in profit per item. Yes, that’s still a profit, but look at all the work you had to do to make it! Yikes. When you first start sourcing, you may be thrilled to find armfuls of Banana Republic, Ann Taylor and Gap tops for $5 each. And you may load up on them, bring them home, and then realize that you’ll be doing good to earn $3 profit on them (I speak from experience on this!). What happened? These tops are cute and the brands are great! But, unfortunately, you overpaid! Yes, at $5, you overpaid! Unless the item is super new (was in the store within the last year) or is still trendy and is new with tags (NWT), these brands have such good sales in their own stores, and are so over saturated at thrift stores and even on Poshmark that the resale value is just low. That doesn’t mean you should never get them. But you need to be paying more like $1 or $1.50 for the items. The way to do that is to find out when your local thrift stores have sales. Many thrift stores always have one color tag on sale. Two of my favorite shops in town have one day of the month when EVERYTHING is 50% off. I do the vast majority of my shopping on those sale days. Yes, some items (such as Anthropologie brands) probably are worth the regular prices, but since we homeschool, we can’t scour the thrift stores multiple times a week to try to find those hidden gems. Instead, we wait for the big sale days. 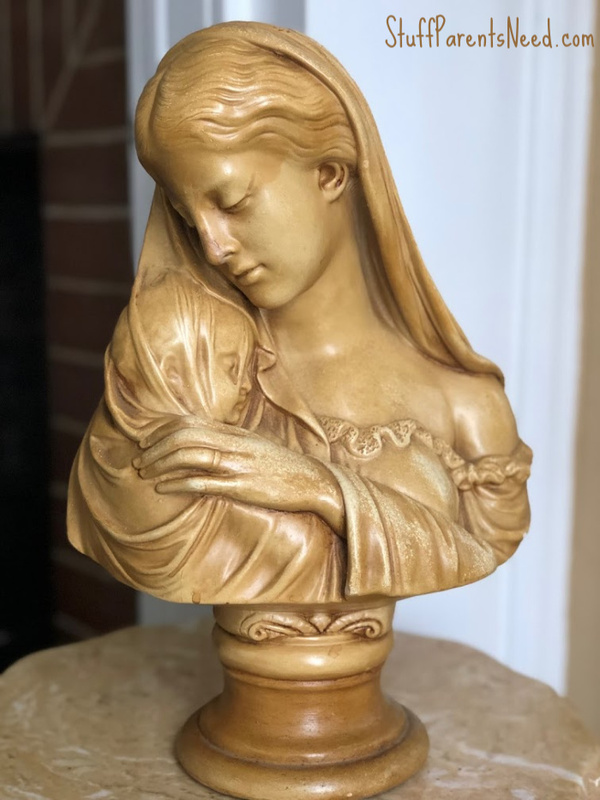 One of my biggest lessons is not to be fooled into thinking that the regular prices at thrift stores are cheap enough if you want to make at least $10 profit on each item. You need to be able to source them for very little in order to help you reach that goal. You will make some mistakes along the way, and when you realize it, let go of the guilt and just work hard to get your items out the door, even if you only make a few dollars, or worse, jut break even (if it makes you feel any better, we sold something last week that left us with $0.06 in profit. It gave us a good laugh and we learned a lesson in the process!). If you want to sell an item for $15, don’t list it on Poshmark for $15. List it for at least $20. Why? The overall shopping culture in this app is one of negotiating. Buyers want to feel like they got a great deal, so it’s not uncommon for them to make you an offer. It’s also a great idea to make offers to anyone who has liked your item (see tip #5 below). It’s fairly rare for someone to simply buy the item at your asking price. And when folks send you an offer, we have learned that they rarely want to go back and forth with you, so take their offer seriously and only send them a counter-offer if you are truly uncomfortable selling the item for the price they offered. After losing 4 sales due to making counter offers, we now take an offer from a shopper quite seriously and if we can make our desired profit margin, we take their offer (unless it’s a very special item that our research shows we should make quite a bit more on…then we hold out!). 5. Offers to Likers Works!!!! This is a fairly new addition to the app and we absolutely love it. Shoppers can “like” an item in your closet by giving it a heart. Occasionally, they might make an offer, but most of the time, nothing else happens. But you can then send a private offer to anyone who has liked your item without having to publicly discount the price of the item. In our first month, we made 17 sales. Two of those were full price buys, two were offers that came from the buyers. And all the rest (13) were a result of us sending out offers to likers. For offers to likers, you have to discount the price by at least 10% AND offer a shipping discount (you can either offer a $1.50 discount or offer free shipping….you, the seller, pay for these discounts, by the way). Don’t hesitate to use this feature, as we have found that it tremendously adds to the number of sales we are making. And if you are like us, and not wanting to be in the clothing storage business, this is a great way to move your stuff out of your house more quickly. I hope these tips help you out! Please do let me know if you have any questions or if you’d like me to create any additional content about Poshmark. I’m curious to see if any of my readers are also using this app, and how it’s working out for you, either as a shopper or as a seller! Thanks to Broad Street Grille for hosting my family for a meal. As always, all thoughts and opinions are my own. For all of my local readers (as well as readers who have Chattanooga on their travel bucket list), there’s a restaurant downtown that I regularly recommend to folks who are looking for truly delicious food: Broad Street Grille. It’s located inside The Chattanoogan hotel, which is a beautiful place to stay, by the way). This restaurant is known for hiring outstanding chefs who are creative and enjoy using fresh and local ingredients as much as possible. Without fail, everything I have ever tried at this restaurant has been excellent. And now they have a special Saturday night menu: an Italian buffet! For my family, an Italian buffet is like a culinary dream come true. For health reasons, I now try to eat a lower carb diet (because I’m completely addicted to carbs and have no sense for moderation) and my husband tries to avoid gluten for his own health reasons. Sounds like an Italian buffet is now not such a great idea, right? But Broad Street Grille’s offerings are extremely impressive and left us both with many, MANY options to enjoy. I personally enjoyed the Seafood Puttanesca. It was loaded with delicious proteins in a sauce that was to die for, AND it was full of yummy seafood which I so rarely get to enjoy because I’m the only one in my family who likes it. Basically, I could have just taken this whole thing back to my table and been happy, but I had many other things I could enjoy, too. As for Tim, he said the beef braciole was the best take on this dish he has had in his entire life. He was also absolutely tickled to discover that gluten free pasta was available. He was able to enjoy the pasta bar without worry that his joints would feel inflamed later in response. Of course, there were semolina pasta options aplenty for the folks out there who are not sensitive to gluten. The kids also had their fill of great pasta options, and what kid doesn’t love that? But their favorite part was the spread of desserts. Cannolis, cream puffs and tiramisu were all available for the taking. And the drinks tasted absolutely superb. What a delightful spread Broad Street Grille has available each and every Saturday night. My family wouldn’t hesitate to come back and I would strongly suggest that you give it a try, yourself. You will leave full and happy, guaranteed! Thanks to Gary Poppins for partnering with me to bring you today’s content. Bon Appetit! Are your kids like mine and asking for snacks starting about 20 minutes after each and every meal ends? Sometimes the fault lies with the kids for not eating enough of their meals, and they have to go back and get more of what we just finished eating. But there are other times when I can just tell that they are going through growth spurts and are just HUNGRY! That’s when it’s time for me to prepare the fridge and the pantry with a wide selection of healthy options so that they always have something to reach for that will taste great and be a good choice, as well. Preparation really is the key factor to ensure that your kids don’t resort to junk food, and that you don’t resort to buying it when shopping. And my friends, this really is a key component of putting together effortless and healthy snacks for growing kids: if it doesn’t taste good, it won’t be eaten So get the right products on hand so that every bite will be absolutely delicious (this also ensures that they will be perfectly happy to keep eating the healthy snacks you bought for days on end, or until they run out!). What I really love about Gary Poppins products is how fresh everything tastes. When you place an online order, it gets packed for you fresh from the popper to help ensure that what you get tastes just perfect. I love that! I recommend trying out The Best of Gary Poppins Collection if you aren’t sure where to start. This variety pack comes with 6 of the most popular flavors (1 each of Creamery Butter, White Cheddar Jalapeno, and Kettle Corn; 2 each of Classic Caramel and Classic Cheddar, and 3 Caramel Cheddar Kettle for 10 bags, total). We have tried them all, and each and every one is delicious, but the Caramel Cheddar Kettle will BLOW YOUR MIND. Love that the collection comes with 3 bags! Right now you can save 10% off your order by using promo code WELCOME10 at checkout. The popcorn comes with a 100% satisfaction guarantee, so you’ve got nothing to lose to give it a try! And while you are waiting for your order, go ahead and enter the giveaway! Now through August 31st you can win The Best of Gary Poppins Collection by entering here. Somebody’s going to win, and it might be you (but only if you take a second and go enter!